This series of work is based on the Mexican loteria cards. 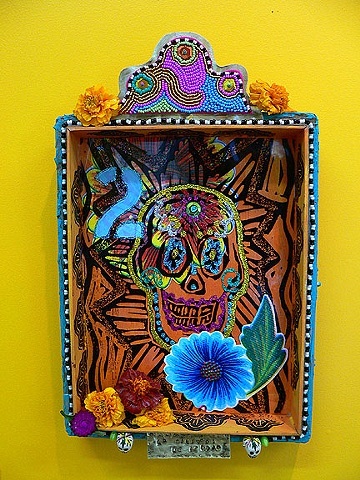 The pieces are embellished with beadwork, hand carved stamps, layers of paper/collage, tin and flowers. Each has it's own unique take on the traditional cards.